The information offered on the webinar is for educational purposes only, and not meant as a replacement for a medical consult with your physician or nurse practitioner, nor is it meant to in any way discourage you from seeking conventional medical care as needed. Please be sensible and take good care of yourself. Please share this page freely with any friends who are interested in natural, holistic approaches to health and well-being. You can download the audio recording of the Natural Flu Defense webinar by clicking here. If you have trouble with that, try clicking here for the zipped file. I offer both uncompressed and zipped options to accommodate different computer and internet setups. The download happens in different ways on different computers, depending on your set up. If the file doesn’t start playing on its own, double click it in your downloads folder or look for it in iTunes. For your convenience, here are links to the experts who shared tips for the webinar, and for specific products discussed. 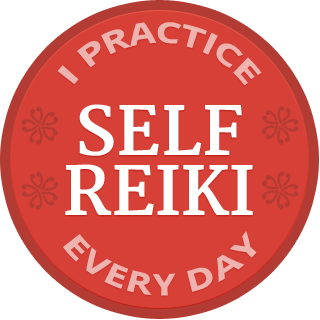 If you would like to learn to practice Reiki self-care, click here to learn how to identify a qualified teacher and class in your area. The Three Season Diet: Eat the Way Nature Intended by John Douillard. David Crow, founder of Floracopeia and author of In Search of the Medicine Buddha and Sacred Smoke, wrote a guest post on this topic, Aromatherapy for Flu and Colds. Also think of Bergamot as a holistic antidepressant when sunlight is hard to find. Annemarie Colbin, Ph.D., author of Food and Healing, is founder and CEO of the Natural Gourmet Institute for Health and Culinary Arts. Elena Brower is the founder of Virayoga in NYC and author of Art of Attention. If you want to avoid the alcohol in tinctures, look at the glycerites. Here are two Ayurvedic products to ease throat symptoms: Throat EZ and TurMagik. Pam Montgomery is an herbal and plant spirit healing practitioner, and creator of Essences for protection. Karen Rauch Carter, feng shui expert and author of Move Your Stuff, Change Your Life. Go to Banyan Botanicals for an Ayurvedic self-assessment survey and ginger powder for the bath. Conventional medical information on the flu is available from the Centers for Disease Control (CDC).